Home » Hong kong Immigration Visa » Great reasons why you should consider Hong Kong for Immigration? Hong Kong is a dynamic country offering excellent business and work opportunities to its residents. In addition to this, effective banking system, good legal system, anti-corruption system and foreign exchange reserves are few reasons why Hong Kong is good at economy. Being a wonderful city, Hong Kong is a perfect place for visitors who wish to make their trip more exciting and beautiful. The country is known for its amazing skyline, tall buildings and picturesque harbors. Hong Kong draws the attention of travellers by offering world-class facilities for them during their stay in the country. This aspect allures most aspirants to immigrate to Hong Kong. When you are immigrating to a specific destination, your utmost concern will be safety and security. Hong Kong stood first in this aspect by ensuring safety and security for all its residents including immigrants coming from across the globe. If you are a lover of Chinese food then you must visit Hong Kong, which is famous for any Chinese dishes especially, Cantonese food. It is a place where you can eat whatever you want and the shops will be opened round the clock. Hong Kong is known as shopper’s paradise where you can get any luxury goods at invincible prices. Products such as LV, Corum, Prada, Burberry, computer, mobile phone, electronics, accessories, etc. are available here at lowest prices. Hong Kong is a free economy where tax rates are quite low. There is no inheritance tax or controlling of foreign exchange policies. Hong Kong offers free education for children of immigrants. If you immigrate to Hong Kong, your children will receive quality education without any charges. The country offers everything starting with travelling, telecommunication, food, medical and entertainment at competitive prices compared with other countries in the world. One can easily get Hong Kong PR when compared with other countries. 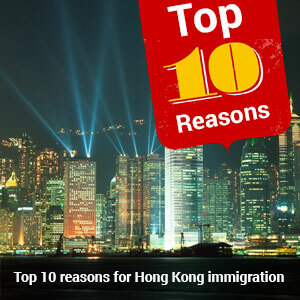 These are the best reasons to Hong Knog Immigration, if you are interested to immigrate to Hong Knog, please fill out Our Enquiry form, and also follow @ MoreVisas Facebook, LinkedIn, Twitter. ← How to get Denmark Schengen Visa?